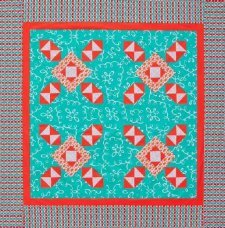 "Happy solid orange, cheerful solid turquoise, and bright polka dot white combine to make Flying Geese units. When arranged around a center square, the units look like blades on windmills rotating in a summer breeze. Fabrics are from the Wallflower Waltz collection for Michael Miller Fabrics." Click the button below to go to the article about this pattern where you can download a copy of the pattern for free. 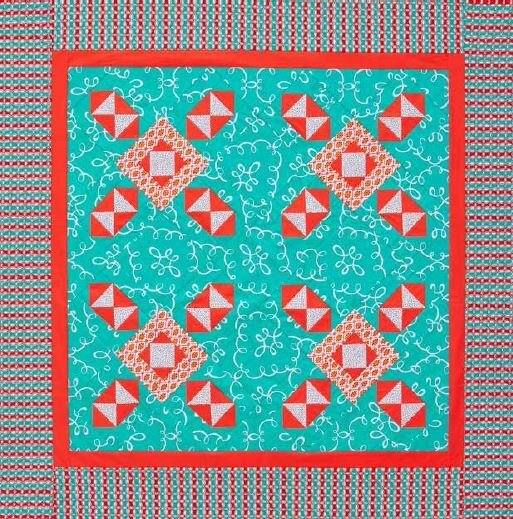 If you are not already a member of AllPeopleQuilt.com sign up for free to start your download. Enjoy!